I know you girls have been waiting for my hijab wrapping tutorial for sooo long right? Thank you for liking my style, even though I still think that the way I wrap my scarf is really, reaallly simple that you really shouldn't be impressed! hehe..
Oh, and by the way, so sorry that the lighting in that room is a bit odd and the video is not a HD clip because I only use a MacBook's camera! And also, I looked quite dark in there..haha. But never mind lah.. so here it is! Hai Wani. I am your silent reader & I'd love to read your blog. Everyday i read your blog & always ternanti2 what is next from you. 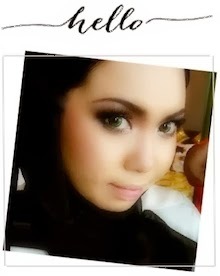 Thanks for the tutorial & u look so gorgeous & confident, semangat, ceria. I like that! So, if you don't mind, can you share with us (the readers) some tips to be like you, like how you manage your time with works, personal, family & all the penjagaan diri stuff & sentiasa nampak ceria, semangat. Hope to hear from you soon. Take care. Salam, sila taip tadi. Maksud akak best giler tutorial yang adik tunjukkan. Dah faham dah mcm mana nak pakai.Semuga jadi cun dan omel mcm adik nanti ya. hi kak wani! I'm one of your silent reader. If u don't mind can u share how u wear the tie rack oblong and square scarf? because tie rack oblong and square scarfs are quite smaller than the normal one kan? when I wear tie rack slalu nampak leher..
What's with the slang?? do u actually speak english like that? Long-winded "explanation" with a silly fake accent. Just get to the point!!!!!!!!!!! (you seem to really like to use many exclamation marks in your sentence when you write - to show that you're excited. I'm merely doing the same here. Haha). Nonetheless, thanks for the effort. Probably when you have something more interesting styles you can upload another "tutorial". And PLEASE...cakap melayu aje lah boleh tak? Thank you. ye la slang mcm duk uk.. sini malaysia je kot..
Love your eyes.. Bila u cakap i'll looking at your eyes rather than dengar apa yg u pot pet pot pet.. Hihi.. Please do make up tutorial too..